Dominican Sister of Peace Clara (Irenaeus) Bauman, 88, died at the Mohun Care Center in Columbus, OH, on January 22, 2019. Sister Clara was born in 1930 in Columbus, OH, the daughter of Victoria Trapp and John Bauman. She entered religious life in 1949 after graduating from the St. Mary of the Springs Academy in Columbus, OH, in 1949. Sr. Clara earned a Bachelor of Science degree in Elementary Education from the College of St. Mary of the Springs, now Ohio Dominican University, in Columbus, OH. She earned a Masters of Arts in Elementary Education from Duquesne University and a Master of Arts in Religious Studies from the Incarnate Word University in San Antonio. 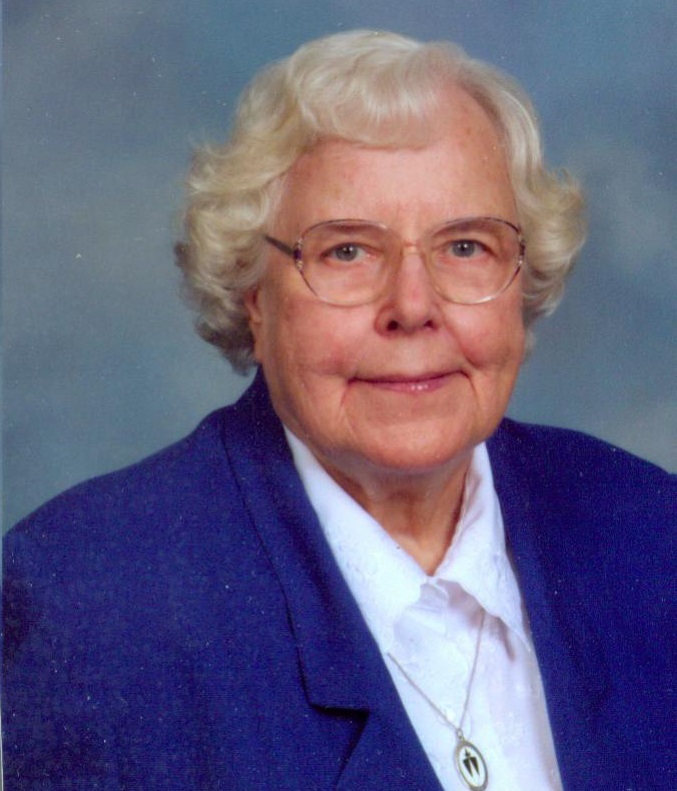 Sr. Clara ministered as an elementary school teacher and administrator in Pennsylvania, New Mexico, and Ohio, including in the Columbus diocese at St. Francis, Holy Spirit, Our Lady of Peace Columbus, at Holy Trinity, Somerset and at Sacred Heart, Coshocton. After receiving her Master of Arts in Religious Studies in 1985, Sr. Clara served as Director of Religious Education at St. John the Baptist in McHenry, IL, from 1987 to 2000, and as Pastoral Minister at St. James the Less in Columbus from 2001 to 2012. Even after her health required her to retire, she remained a pleasant and caring presence among her Sisters at the Mohun Health Care Center. Sr. Clara was preceded in death by her parents John C. Bauman and Victoria Trapp Bauman, her sister Dorothy and her brother Irwin. She is survived by her sister, Bernadine Bauman; and nieces and nephews. A Vigil of Remembrance Service was held on January 29, 2019, at the Dominican Sisters of Peace Motherhouse Chapel, Columbus, OH. The funeral liturgy was held at the Dominican Sisters of Peace Motherhouse Chapel on January 30, 2019, followed by burial at St. Joseph Cemetery in Columbus, OH. Memorial gifts in Sr. Clara’s memory may be sent to the Dominican Sisters of Peace, Office of Mission Advancement, 2320 Airport Dr., Columbus, OH 43219 or submitted securely at oppeace.org. To download a printable version of this memorial, please click here.